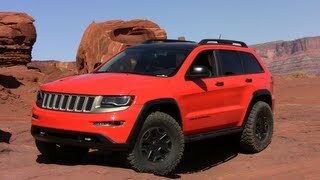 With the mood of 46th Annual Moab Easter Jeep Safari already on, Jeep has showcased another new concept, the 2012 Jeep Grand Cherokhee Tailhawk, along with five other exclusive concepts for the annual event. 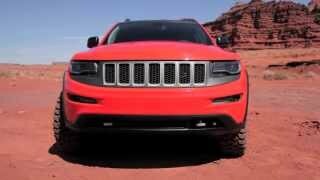 As per the stated details of the concept, what make this Jeep a really effective off-roader are its reinforced tough metal bodyline, tow hooks and rear light bar, which end up in presenting a muscular Jeep. Moreover, optimum traction control provided by durable Goodyear Wrangler tires act as a cherry on the cake, which ensures the best off-road experience one can ever imagine. The tire-factor doesn’t end here only. The elite tires come with an additional layer of protection, so as to reduce noise induced with tire rotations. Apart from the aforesaid tough features of the concept, the vehicle induces few more features to cope up with brutal off-road terrain. An 18” thick Mineral-Grey colored alloy rim comes with the vehicle to handle rocky terrains with ease. Another off-road appealing feature of the car includes undercarriage damage shields. 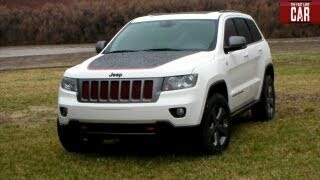 These shields are nothing but a Supplement Mopar rock rail attachment. The attachments are capable of protecting the engines from underneath blows as well. 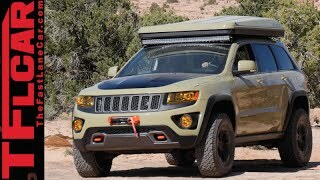 It seems that Jeep has tried to bring in a combo-pack of safari and sporty look in the 2012 Jeep Grand Cherokhee Tailhawk concept, with handy features like wing mirror glass lid, vertical grille bars, ornaments of trunk at the stern and many more. The hood-lines have been colored with red, which then extend to tow hooks, and mesh grille as well. The new concept is technically as advanced as it is in its look and protective features. The vehicle comes with Electronic Limit-Slip Differential (ELSD), Quadra-Lift air-suspension systems and Select-Terrain Traction Control system that makes a perfect blend for an off-road move. 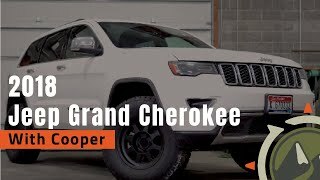 Do you think anyone needs anything more than the 2012 Jeep Grand Cherokhee Tailhawk concept to enjoy the off-road terrain rides to its fullest? I don't think so.